Dear Applied Linguistics’ Students! Life is a book and being a student is the most beautiful chapter of that book… Make sure you enjoy this chapter to the fullest…. 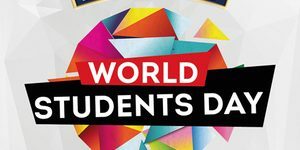 Wishing a very Happy Students Day! ← Правильний вибір — запорука успіху!